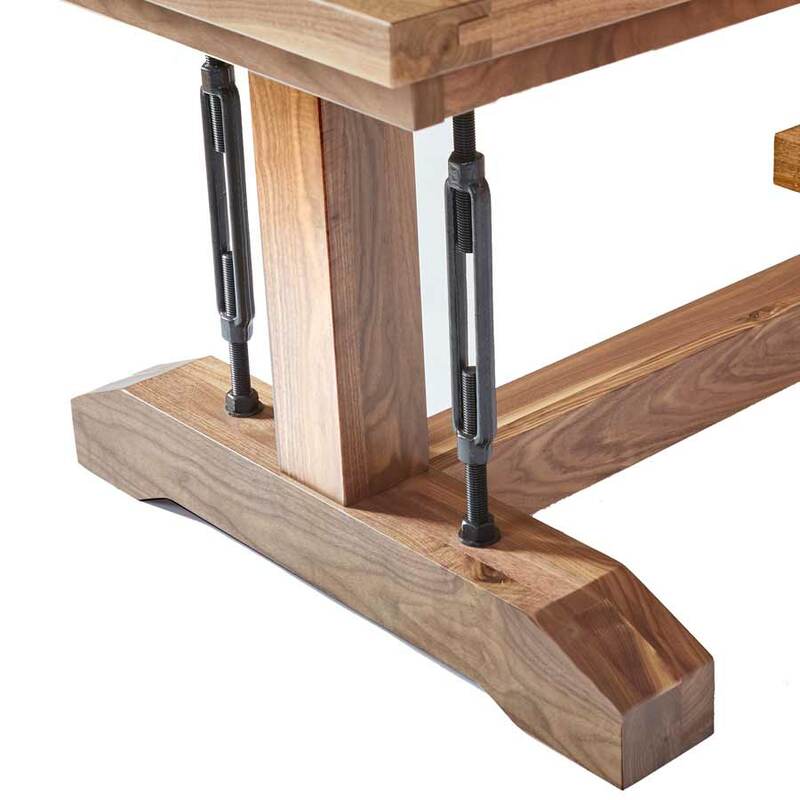 The Double Turnbuckle live edge trestle table. 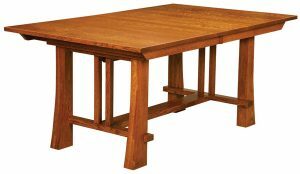 Nobody beat’s our price on live edge Walnut tables, we have our own forest of Walnut trees! 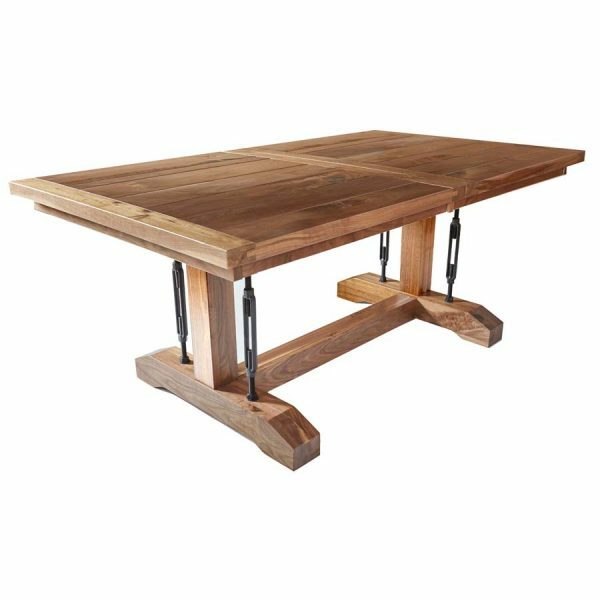 The Double Turnbuckle Live edge walnut trestle dining table is shown with the PLANK TOP in the photo, but we can make this table with a live edge top. 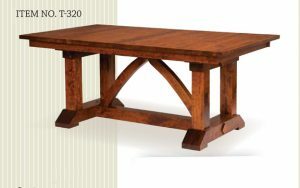 Please view the Wyoming table to view the live edge top. 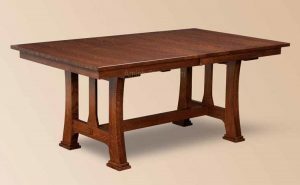 The table will measure 42″ wide x 78″ long and the top is 1 3/4″ thick. 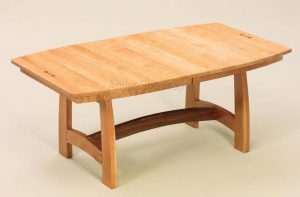 The lumber is from the same grove of walnut trees that were harvested from our local forest. We replanted thousands of walnut trees this Spring from the “bumper crop” of Walnuts we shoveled up from under trees! No stain options available at this time. Clear coat only.